I’ve had a couple close photographer friends of mine asking me about handheld GPS units and PLB’s, and I didn't quite understand why at first but unless you’re an utterly corporate photographer you’ll want to get out and explore, and this is often off the beaten track. While it’s all well and good to travel new areas you should always pack prepared and taking a GPS with you to help you get home safe is almost a must. This is a serious handheld GPS unit and will keep you well and truly covered when you’re outside cell phone range. It’s easy to use, allows you to plan routes and tracks as well as save waypoints if you’re in a particularly nice spot that you might want to return. I imagine a seasonal piece of the same gorgeous nature scene (if you do that message me I’ve convinced myself I want that now). 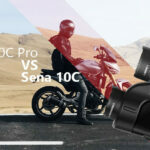 Going into technical specs, the 16 hours of battery available will outlast most of your trips, though with a power bank and the USB cable the GPS comes with you can extend that further for those longer trips. The 4GB of memory also makes it fantastic for storing all different maps, tracks/routes and up to 5000 way-points. It will also display smartphone notifications so you can spare your phone an extra workout. The only thing to consider with a 64s model is the poor Basemap loaded onto the GPS you will need some form of TOPO to get relevant information. 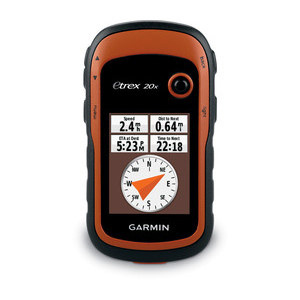 The eTrex 20x is a perfect affordable handheld GPS, and while it doesn’t have all the bells and whistles of the GPSMAP 64 series, it comes with a much longer battery life and is ultra lightweight. You can still save up to 2,000 waypoints and 200 routes. 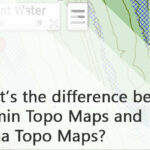 Like the 64 units, it comes with a basic map, but you will need Australian TOPO maps. 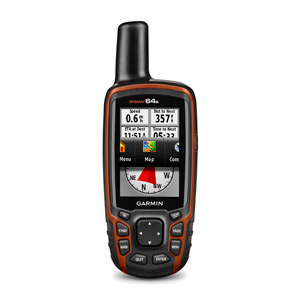 It’s also got access to the same Satellite constellations as the GPSMAP 64 series, so you won’t be at any significant disadvantage regarding position lock and not losing your signal in heavily wooded areas. This one does everything. 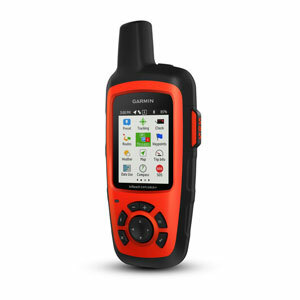 The inReach explorer+ is both a Satellite messenger (stay in text contact anywhere in the world outside of cell phone range) and a handheld GPS. This functionality does come with a price tag to match though. You can save waypoints, set up routes and live track your progress so that anyone at home can stay up-to-date with your journey. You do need to have a subscription to use this communication side of things for the InReach the subscription will cover you for messages you send out/receive and live tracking. The other big factor here is that with an active subscription you’ll have a live SOS button at your fingertips, should you ever get into any serious trouble you’ll be able to call in a rescue team. This is all part of the subscription fee you pay to use the device but should the worst happen and your trapped having this in your pack could save your life. I’ve included a link to our in-depth review of the InReach Explorer+ if you’d like to learn more. Now, this doesn’t have any GPS tracking functionality this is purely a Satellite communicator and tracker. 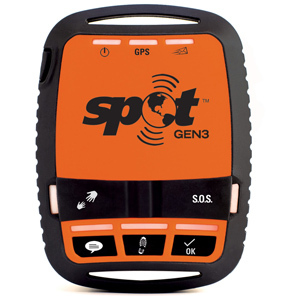 You can use this device to track your adventure, send out an OK message and non-life threatening call for help or an SOS beacon to GEOS (International Emergency Response Center). 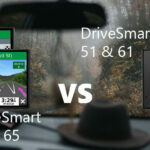 This is useful if you’re not too worried about having a GPS map or waypoints but do want some peace of mind. The ability to send in check in messages is good for people who might want to confirm you’re ok and everything is progressing smoothly. My only gripe is that you SPOT doesn’t send a notification or signal that your Check-in message has been sent and received, which is not a significant factor but it’s not always clear if the message has been sent. Like the InReach this unit is a Satellite Communicator and requires an active subscription to work properly.